From birth, Becky knew something was going on with Jayla, but even as someone working in the medical field, she could not make sense of what she was seeing. The biggest question mark was Jayla's feet. They were so long that her footprints couldn’t fit on the print cards made for newborn babies. By a year old she was in casts and braces for what was believed to only be foot and ankle problems. Jayla’s orthopedist was unconvinced that Jayla’s feet were her only concern and referred her to a geneticist. By 18 months, Jayla's appetite and overall health were rapidly declining, and yet, she was starting to grow very tall. Her feet got significantly worse and Becky started seeing floaters in Jayla’s eyes. At follow up genetics appointments, they were finally able connect some dots due to Jayla's drastic changes. 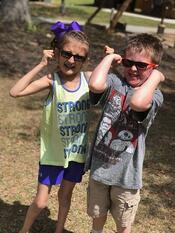 This led to identifying Marfan syndrome as the condition that had been challenging Jayla’s health. She was sent to a cardiologist, but when they were told there was nothing to worry about with Jayla’s heart, Becky’s intuition kicked in again. Even after being diagnosed with Marfan syndrome, the back and forth went on for months, despite no real success with her treatment. So Becky hit the internet. The first place she landed was The Marfan Foundation. She talked to the nurse on staff and received a packet of resources and information, including a children’s book about understanding Marfan syndrome for Jayla. Finally, after dozens of misdiagnoses and bad information, Becky felt some level of confidence in the information she was reading. Their next stop was a Marfan Foundation symposium being held within driving distance. The information and connections Becky found at that symposium ended up been life-saving for Jayla. With her concerns about Jayla’s heart still in the back of her mind, Becky approached one of the doctors who presented at the symposium. The symposium was on a Friday and by Monday, Jayla’s cardiologist had gotten a call from the symposium doctor to make a critical change in Jayla’s heart medications. Further, through the symposium, Becky finally found the specialized medical care Jayla needed and quickly transferred most of her care to a team more experienced with Jayla’s diagnoses. Again she found confidence and relief in the expertise she could now access for Jayla. Jayla is affected in almost every body system that Marfan can impact and questions still remain about how to best support some of her challenges. But the early access to education gave Becky the confidence to push for better care. The positive effects of her tenacity impact Jayla every day, from the doctors they see to the supportive connections they have made in the Marfan and related conditions community. Even the children’s book continues to help Jayla. Becky sends the book to Jayla’s teachers to help her friends and classmates understand how they can help Jayla and how she can be involved, even when she can’t do things exactly like other kids. There is, however, one time every year where no explanations are needed for Jayla. 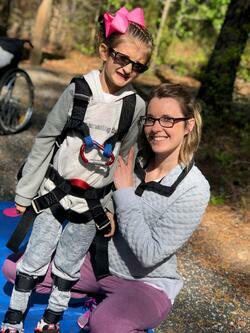 At Marfan Family Camp, Jayla can be herself and is surrounded by by children who face the same battles she does. The same goes for Becky! The parents can relate to one another and share information. The cycle of education continues through the bonds that families create together at camp. 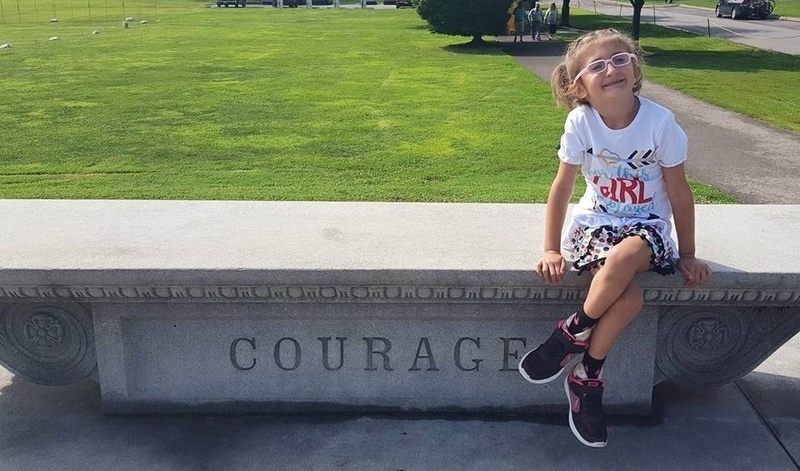 From finding skilled providers and accurate information, to helping classrooms be more inclusive and learning ways that she can play and explore like any kid at camp, Marfan syndrome education has been a major part of Jayla’s path to victory. That, and the power of a mother's intuition. Victory stories like Jayla's are why your support of The Marfan Foundation is so important. Your gift means that life-saving education -- like what Becky used to advocate for Jayla's care -- will be available to the next family that needs information and a listening ear while navigating a new diagnosis. Make a gift to The Marfan Foundation this Giving Tuesday to help us make sure that lifesaving education gets into the hands of every person affected by Marfan and related conditions.